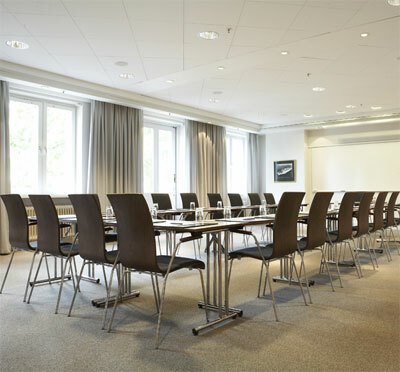 Host your conference in a wonderful setting in the middle of central Gothenburg! Elite Park Avenue Hotel offers 17 conference venues with capacity for 2 - 550 delegates. 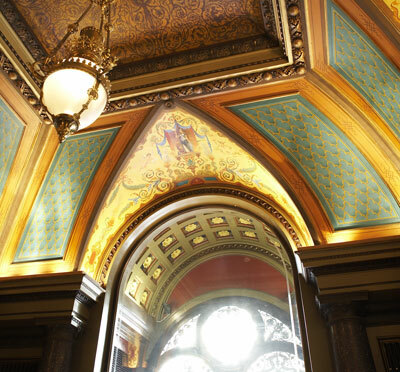 Two of these facilities are highly distinguished because of their original wall paintings. Taubesalen is decorated by one of the most cherished and famous musicians in Sweden, Evert Taube. Sandbergsalen has often been in the spotlight due to its extraordinary mural paintings. Both Taubesalen and Sandbergsalen are branded as cultural heritage. We recently refurbished our conference and party facilities. Floors, carpets and textiles have been replaced and the latest within technology, sound and lighting has been installed. All conference rooms benefit from natural daylight and can be equipped with broadband or wireless internet, data projector, flip chart, whiteboard, overhead projector, TV, video, pads, pens and cool water. Additionally, we now offer a pleasant and relaxing finish to your conference with our newly opened wellness facility. There you will find relaxation area, fitness suite and a variety of treatments. At Elite Park Avenue Hotel you find every facility you need for a successful conference, fair, workshop or exhibition. Add to this the attentive and professional service associated with our name. Finally, our excellent kitchen at Park Aveny Café will fulfill all your delegates' expectations for your conference. Have you been to Elite Park Avenue and want to give your own comments?